I went upstate to Saratoga Springs New York for the weekend with my lady on a mini vacation to get away from the city. It was really nice up there with tons of history. I managed to get some quick shots of their Capital District Transportation Authority buses. They were pretty clean and in great condition. Enjoy! Ugh, those damn Gilligs. I like their BRT Advantages better. Ditto.... But yeah, the shots are great! Great shots, I like that new paint scheme. Thanks but, I like the Gillig buses. I was supposed to be relaxing but I couldn't resist in taking a few shots of transit. Great Stuff Man!. Looks peaceful up there. One of the biggest service changes in the history of CDTA's Albany, NY area bus system is coming starting April 3. Here their press statement. This April, CDTA will introduce BusPlus, a new limited stop service between downtown Schenectady and downtown Albany along NY State Route 5. Customers will notice faster service, better frequency, increased accessibility and new amenities and 25% more service will be added to the Route 5 corridor for BusPlus. BusPlus will operate Monday-Friday, 4am- midnight, Saturdays, 6am-11pm, and Sundays, 7am-6pm. 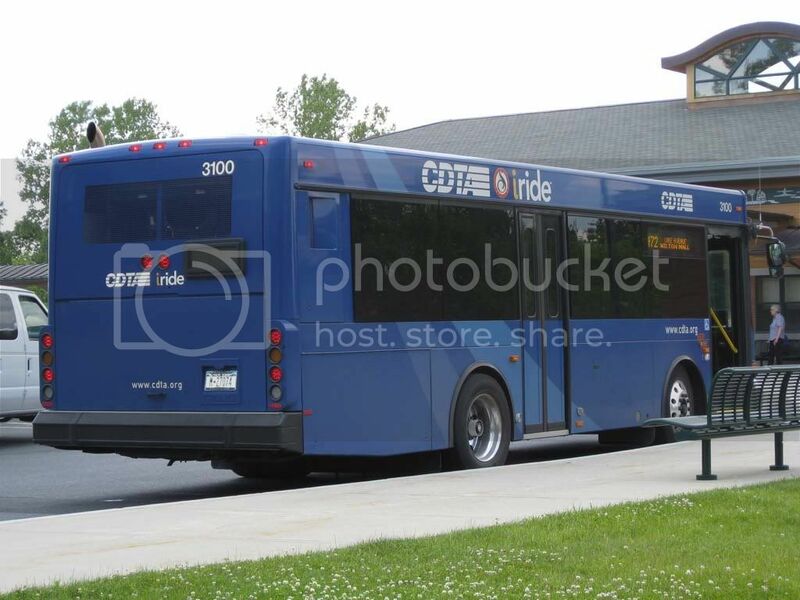 All local service on Route 5 will meet at the Colonie stations (Northway Mall or Colonie Center) to connect with other local routes or BusPlus. 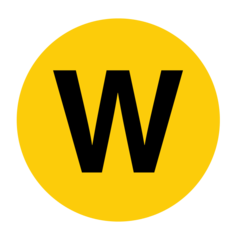 · Route #1 Central Avenue routing will remain the same, stopping at all local stops and BusPlus stations between Broadway and the Colonie station at Colonie Center. The schedule has an increased span of service hours, starting earlier in the morning and running later at night. 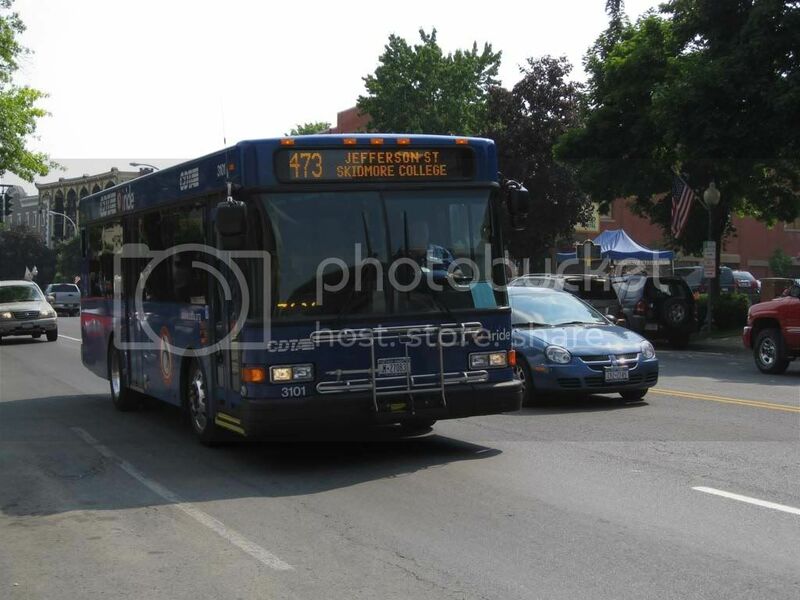 · Route #55 (Schenectady-Albany) will become Route #355 stopping at all local stops and BusPlus stations between Liberty Park in downtown Schenectady and the Colonie stations (Northway Mall or Colonie Center). The hours of service on the #355 are the same as those on the #1. · Route #905 BusPlus limited stop service along the entire Route 5 Corridor from Schenectady to Albany. BusPlus will have 18 designated limited stops (known as stations) along each side of Route 5. Route 55X (Schenectady-Albany Express) and Route 57X service will be replaced by three new express routes that will originate at Park-n-Ride lots on Route 5, travel by the Thruway directly to Empire State Plaza before circulating downtown but will not run local service. •Route#530 - Rotterdam Square Mall/Exit 26 Park-N-Rides to Empire State Plaza via the Thruway – CDTA has 100 shared-use spaces at the Rotterdam Square Mall. 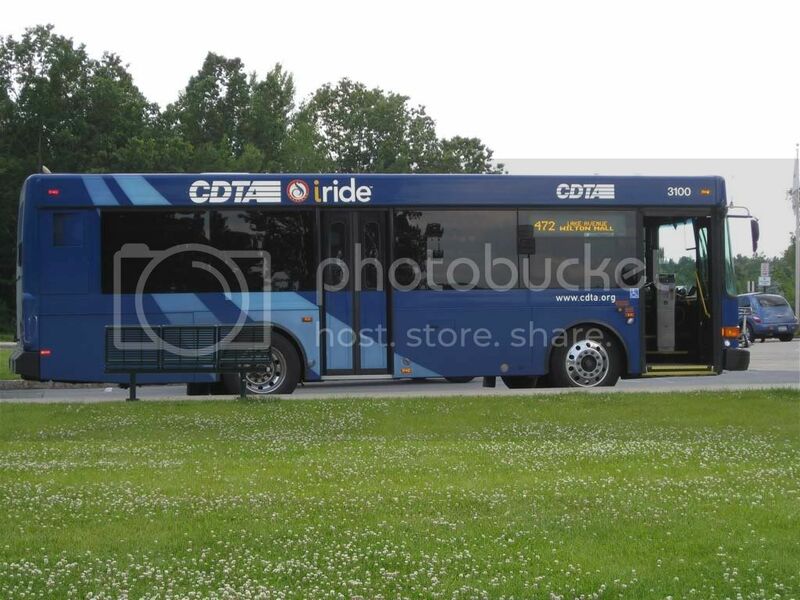 •Route #531 - St. Luke’s/Division Street to Empire State Plaza via 890-Thruway – This existing park–n-ride lot with 75 spaces will be the origin of a new CDTA express run. •Route #532 - Woodlawn Plaza via the Crosstown/890/Thruway – CDTA has 70 shared-use spaces at Woodlawn Plaza. Note: BusPlus accepts all CDTA fare passes including Swipers, 10 Trip passes and Day cards. For more information on these service changes, please call 482-8822 or visit www.cdta.org." Only issue IMO is that it would had been nice for the CDTA to also bulit a 'spur BRT" line also to SUNY-Albany/Crossgates Mall. Maybe it will be created in near future, if this new faster service is a huge success. Next step for CDTA is plans for building either a light rail or commuter rail between towns of Schenectady and Saratoga Springs and Albany's Renseller Station. With long term goal to extend it down the road, to run it southbound to Amtrak's Catskill/Hudson, NY Station. However with this ongoing recession, it might be years away from starting. I am still in support of a high speed rail connection between Albany, and New York City to speed up travel time, and to bring Government officials from the state to the city. CSX can build it. Seems like they are the only line making money so they can go ahead. As an idea, if CDTA eventually plans on using articulated buses, perhaps they can piggyback on some of ABQ RIDE's New Flyer hybrid artic options. Both MBTA in Boston and RTC Ride in Reno did exactly that. Yes, I know CDTA is mostly a loyal Gillig customer, but Gillig doesn't make artics. They shouldn't order from either instead they should order from Nova Bus and support New York employees. I've been looking for some record of it, and I can't find any, except a few signs downtown that say "57X" on them. Any information about it would be great. Ok, so the 57X was the one from Rotterdam? Saw a 2011 Gillig Hybrid on the 13, and and (what I believe to be) an O5 on the 18. I'll believe the Gillig sight (if it was red and silver), but I doubt that you saw an Orion 5; those died a long time ago. You probably saw an Orion 6 or a NABI 35LFW. The Orion VI's are sporadic, it could appear anytime. 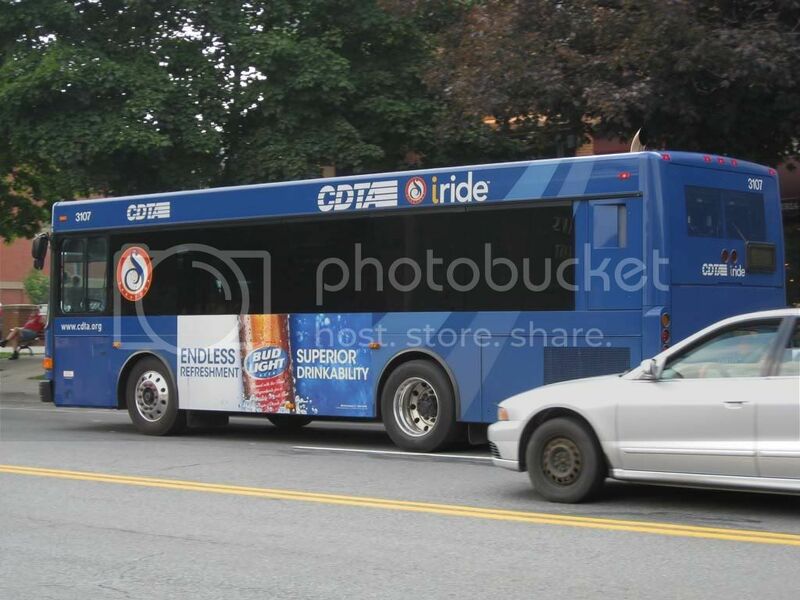 Sometimes, it won't even appear for a whole entire day, this is according to a CDTA Bus Operator, and furthur confirmed by other people knowledgable about CDTA. So yes, this is how it goes. On the 41 to Buckingham Pond today. It's been a while since they have even used short buses on there, but even when they did they always used the Gilligs. Also it looks like the NABI on the 18 is here to stay, because I saw it on the same run today. No, it was a regular blue Gillig Hybrid. On almost all of the specials they use 06's and on pretty much all of the albany based routes during rush hour. I'll believe that too, though it was probably delivered earlier than 2011. The 2011 order had some regular fleet too. Videos didn't load right. Working on it. Ok, obviously my entire code is screwed up. I shall try again once I ask the help of someone. Ok here we go again, now with the help of Cait Sith.